I am finding that I am gravitating to mystery and suspense more than I did before, so when I saw two "names" on the new shelves, I had to check them out! Keep Quiet by Lisa Scottoline was actual a listen, instead of a read, for me. I love Scottoline's novels, and normally her narrators MAKE the story, but this narrator (Ron Livingston) was just so disappointing, and therefore, I didn't care for the novel much either (but was it the story or the reader. Hrm.) In this suspense novel, Jake and his son are driving home after a visit to the movies when their night takes a tragic turn. They choose to - you guessed it! 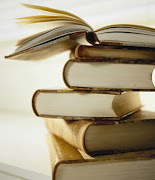 - keep quiet about the incident, and the rest of the novel is the scramble to hide, and then the unraveling of the tale. Again, I usually love Scottoline but this one didn't grab me as much as her others have. A rare miss for me in this stand-alone novel. The Heiresses by Sara Shepard is written by the same author as Pretty Little Liars (which I've not seen or read, but I know is crazy popular). This is basically the fictionalized story of the Hiltons/Kennedys if there were five heiresses - and one of them fell to her death from the top of a building. This novel has that overlying mystery, but also weaves in their complicated relationships, an upcoming wedding, a long buried secret, family drama and trauma, and of course, the relationships between privileged girls. This was a super fast, super easy read - a cotton candy read. Satisfying enough at the time, but not something to fill you up for long! Still, a frothy mystery for adults!